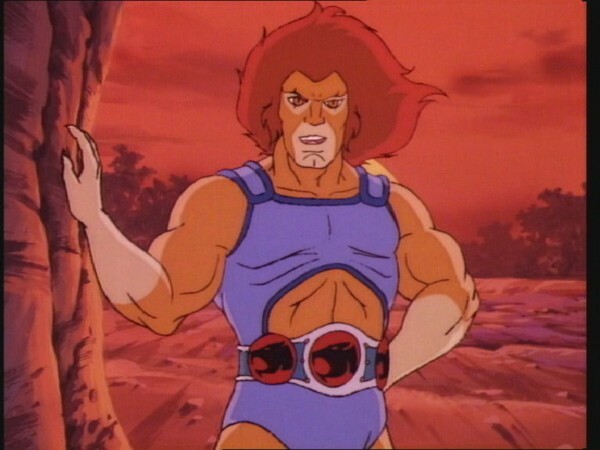 LION-O undergoes the third of his Anointment Trials, which each LORD OF THE THUNDERCATS must pass to prove he is worthy of his inherited title. The Trial of Cunning pits LION-O against the ThunderKittens: a race through the Maze of Infinity. The ThunderKittens have the advantage of having reconnoitered the maze and plan a number of diversions to confuse and delay LION-O. The MUTANTS take advantage of the fact that LION-O must pass the trials unarmed and cannot accept help from anyone, so the trial includes a number of skirmishes with them. 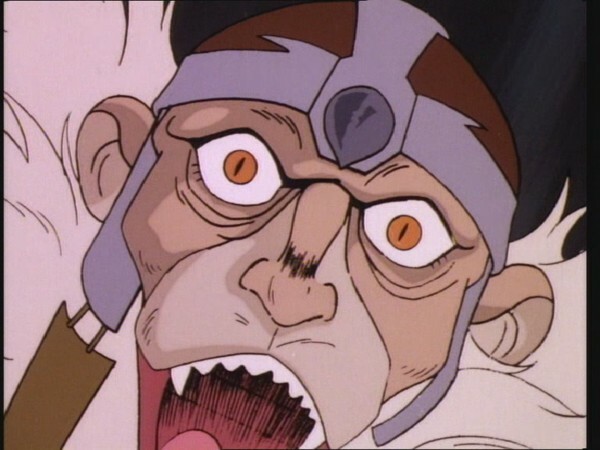 In the maze, LION-O is captured by half-blind CAVE DWELLERS who believe he is an OVERLORD, an over-earth-man whose ancestors feared the CAVE DWELLERS’ books and forced the gentle creatures to live below ground. To punish LION-O, they try to force him to read until his eyesight fails. LION-O escapes the CAVE DWELLERS and prevents the MUTANTS from destroying their books. Meanwhile, the ThunderKittens are trapped above a fiery chasm and call for help. Even though he is sure this is just another THUNDERKITTEN trick, LION-O investigates. The CAVE DWELLERS help him rescue the ThunderKittens, who were indeed in real danger. 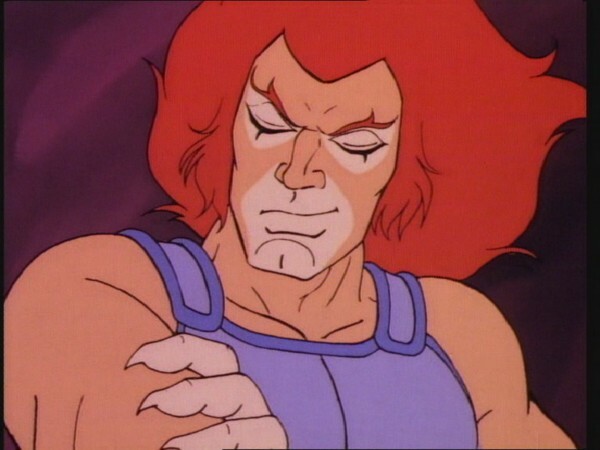 LION-O finally wins the race through the maze, tricking the ThunderKittens by roping them to a rock. 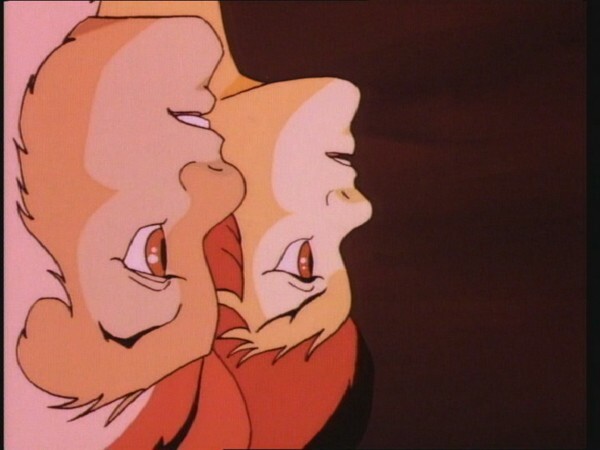 In the Third Anointment Trial, Lion-O is forced to match wits with WilyKat and WilyKit, whose traits are tricks and cunning. They are masters of mischief and of using stratagem and devious means rather than direct confrontation to attain their ends. Lion-O displays astuteness and calls upon his own craftiness to shrewdly match their trickery and win the trial. Sometimes when we are stuck trying to reach a goal by direct means, we should consider the alternative of a skillful plan or device that is indirect. In any event, we should never be so caught up with our own goals that we ignore others in need. Lion-O takes time to rescue the ThunderKittens and, because he had aided the Cave Dwellers, they in turn help him. We must never be too busy or too lazy to respond to persons who need help. The third act in the play that is Lion-O’s Anointment Trials, “The Trial of Cunning” sees Lion-O competing against the ThunderKittens, WilyKat and WilyKit, in a battle of wits that tests a unique facet of Lion-O’s personality: his cunning and ability to outsmart opponents rather than using physical prowess such as strength, speed or combat skill. As such, this episode effectively complements the other four parts of this “mini-series”. This episode is arguably the least interesting of the five Anointment Trials. 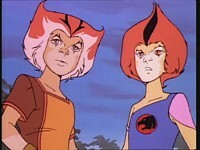 “The Trial of Strength” benefited from being the first part, containing interesting exposition, soul-searching from Lion-O, and new Third Earth locales; and “The Trial of Speed” benefited from the unique challenge of Lion-O having to beat Cheetara in a race. The two Trials that follow this one are equally noteworthy—“The Trial of Mind Power” reveals a unique and rarely seen ability of Tygra’s, putting Lion-O through several psychological hurdles, and “The Trial of Evil” features the exciting premise of Lion-O facing off against Mumm-Ra unarmed, whilst giving us an in-depth look at the interior of Mumm-Ra’s pyramid. “The Trial of Cunning” features none of those intriguing elements, and as such there is a slight sense of going through the motions with this one: Lion-O and his ThunderCat opponent (or, in this case, opponents) try to best each other whilst the Mutants provide a distracting backdrop and an additional sense of danger. Despite these shortcomings, this episode does offer an enjoyable insight into the relationship between Lion-O and the ThunderKittens. Although not blatantly displayed, for the most part the interaction between Lion-O and the Kittens in this episode is the interaction of equals rather than that of an elder and two kids, and this subtlety in the writing actually makes a big difference to this episode. 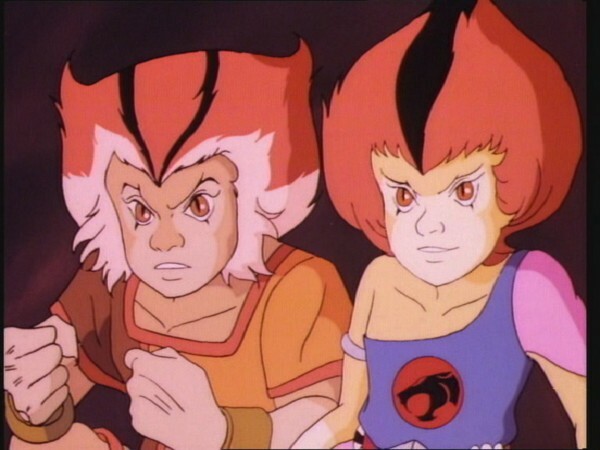 Something that is often forgotten throughout the course of the series is that Lion-O and the ThunderKittens were roughly the same age prior to the ThunderCats’ arrival on Third Earth, and it is only Lion-O’s accelerated aging that created any sort of age difference. 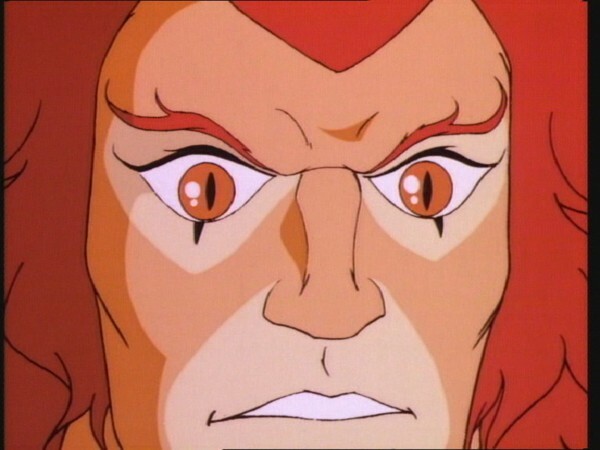 Whilst Lion-O does mature faster than the ThunderKittens as the series wears on (largely through necessity), it’s not difficult to imagine the ThunderKittens not looking up to Lion-O as an “elder” in perhaps the way they otherwise might, because in Lion-O they would see a former playmate—someone who was their age and size not so long ago. 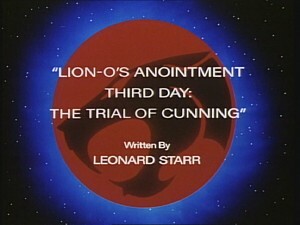 Again, some episodes choose to completely overlook this, but it is interesting to note that more than one of Leonard Starr’s scripts (another notable example being “The Tower of Traps”) subtly display and explore the unique relationship between Lion-O and the ThunderKittens. This episode is also a great showcase for WilyKit and WilyKat themselves. 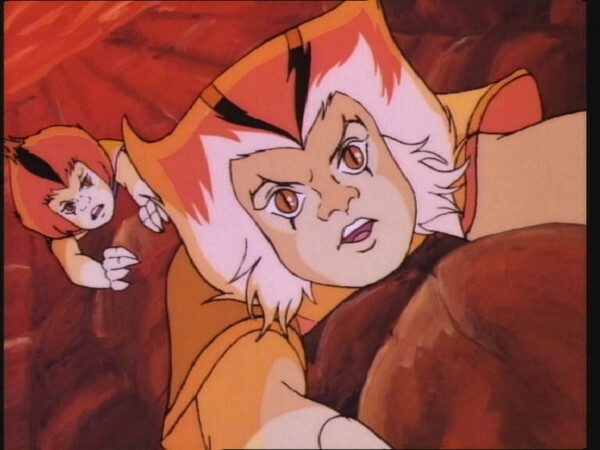 Whilst the ThunderKittens are often present in the ThunderCats’ battles with their enemies, they are typically shown more as irritants to their foes rather than genuine forces to be reckoned with. Yet this episode allows them to properly display just what effective weapons cunning and quick thinking can be. 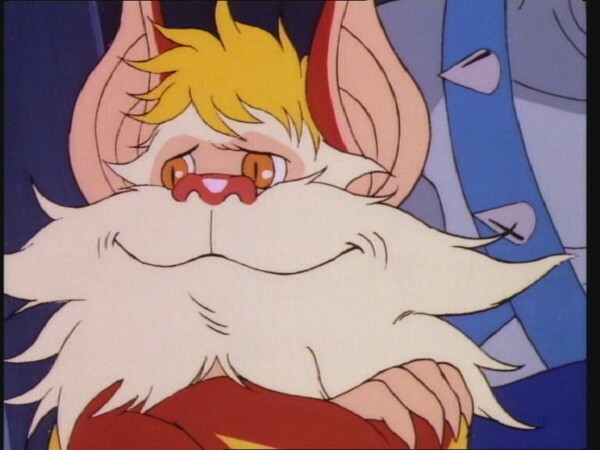 Whilst some episodes make the ThunderKittens out to be somewhat immature, this episode instead shows them as smart and enthusiastic young ThunderCats, focused and more than capable of handling themselves. Only at the very end of the episode, when the ThunderKittens fall afoul of a giant snake and find themselves on the brink of a molten doom, do they revert slightly to type; but even this is done in a way that does not automatically discredit their competence. Setting the episode’s events in a maze is actually another clever move, as this is the perfect location to show off WilyKat and WilyKit’s talents and personalities. 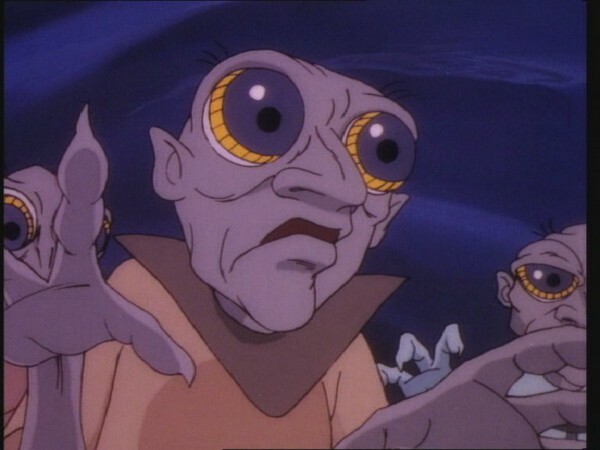 Arguably the other most interesting element of this episode is the introduction of the mysterious and anonymous race of creatures generally referred to by fans as the Underearth People. These creatures initially look like evil beings, seeking to enslave Lion-O. In fact, they are merely bitter at their cruel treatment at the hands of “Overlords” who feared their books and drove them into the dark underground, thus robbing them of their ability to read. This mysterious backstory is intriguing, but no explanation is ever given as to why their books were feared or who exactly drove them underground. Were they persecuted in the early post-apocalyptic days of Second or Third Earth because their knowledge posed a threat to more primitive races on the planet? Or did their books contain something altogether more sinister than knowledge, perhaps spells for working dark magic or other forbidden secrets? 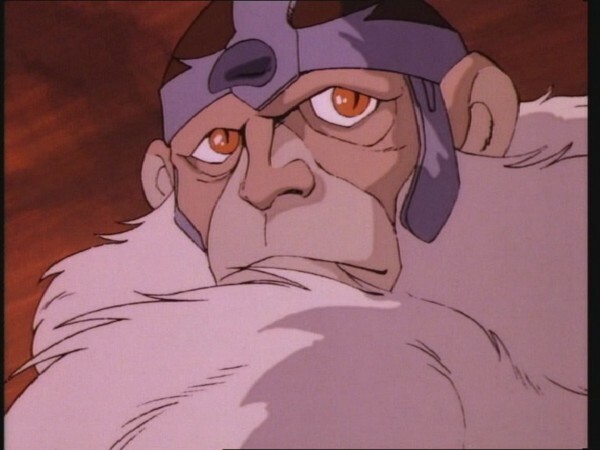 Any menacing origin seems unlikely, given the bravery and integrity the Underearth People demonstrate in their rescue of Lion-O and the ThunderKittens, risking further damage to their eyes in the process. But it is a shame that the origins of these creatures were not explored in greater detail, if only in a later episode, as their story could have leant itself to an interesting tale about wisdom, books, and persecution. 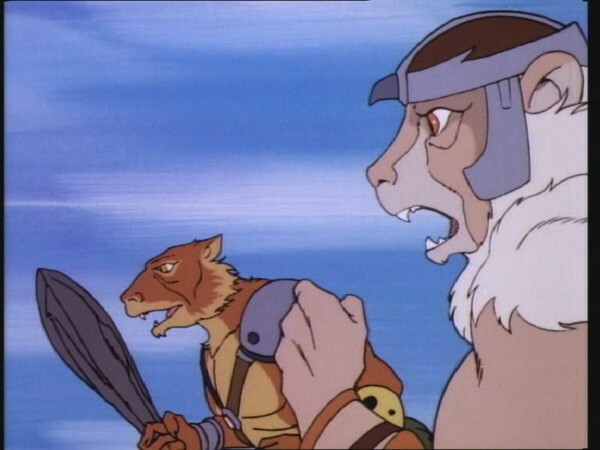 Whilst “The Trial of Cunning” serves more as an appetizer to the meaty Trials that follow it, nonetheless it stands as an enjoyable story with some great character moments and a variety of interesting and exciting scenes, and as such it is still one of the stronger episodes of ThunderCats‘ Season One. Panthro twice refers to the ThunderKittens as “the Wilycats”, a rare variation on their usual name. The Maze of Infinity, when displayed in its entirety on the Control Room telescreen, is laid out in the shape of a ThunderCat symbol. 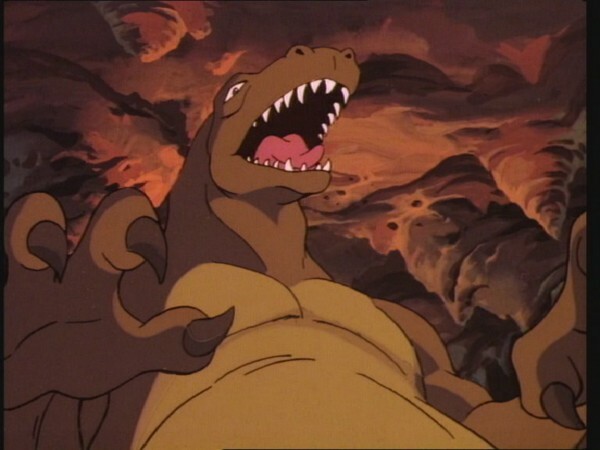 In reality, this is just a nifty animation Easter egg, but in the world of the show, it would suggest a Thunderian presence on Third Earth many years prior to the ThunderCats we know! This is the only episode that names the ThunderKittens’ lariats as such.